Ready-to-fly technology - no assembly or installation required. By pressing a button you can obtain spectacular flight videos and photos with a resolution of 720 x 560px. With 4 LED lights, it can also be used at night. One of the smallest camera drones in the world. Only 2.9" long, yet a real stunt pilot that masters 360° moves. 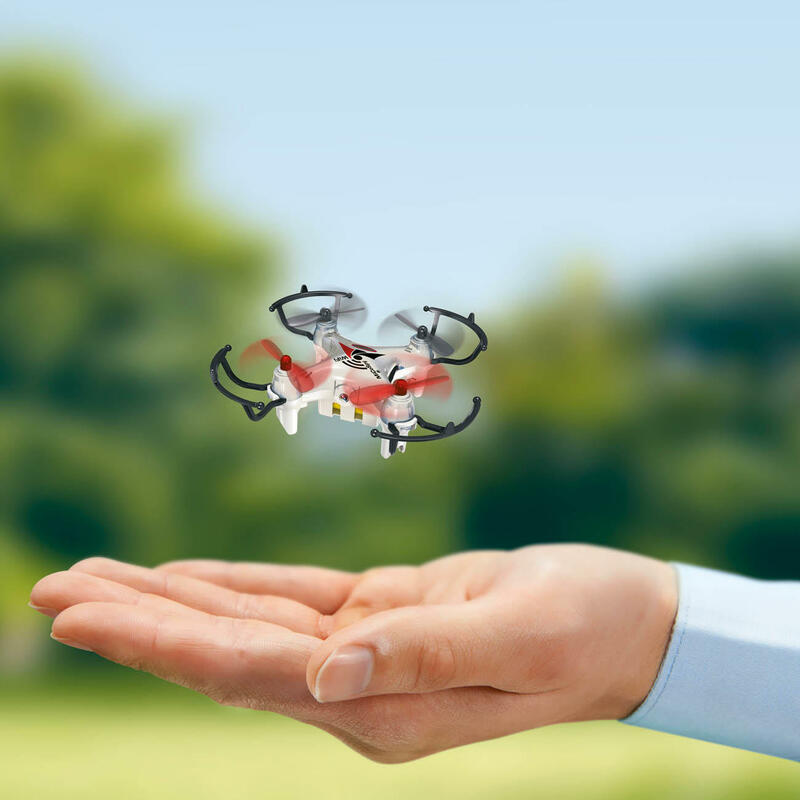 Weighing just 13g (0.5 oz), this tiny drone is light as a feather yet a heavyweight on performance! 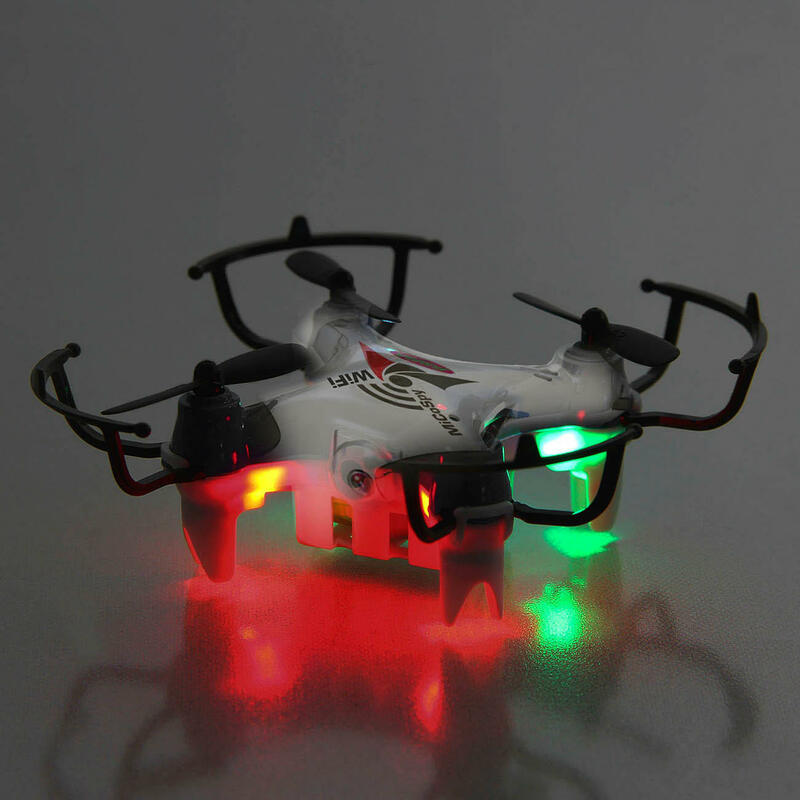 It’s a real quadrocopter with 4-channel radio control and on-board camera. Just a few minutes of practice is sufficient to enable you to operate the drone and have it buzz through the air performing spectacular manoeuvres. Abrupt course changes, rolls, even 360° rotations are easily mastered by this amazing little gadget. The electronic 6-axis gyro system maintains stability in the air, thus ensuring easy and safe control. Or you can use Track-Following to create a flight path that is followed exactly by the mini copter. It’s great fun for beginners, intermediate and advanced operators (3 selectable modes). The 120mAh battery gives 5 min. of flight time. Charging time via USB 45 min. (cable included). Wireless range up to 60m (197ft). 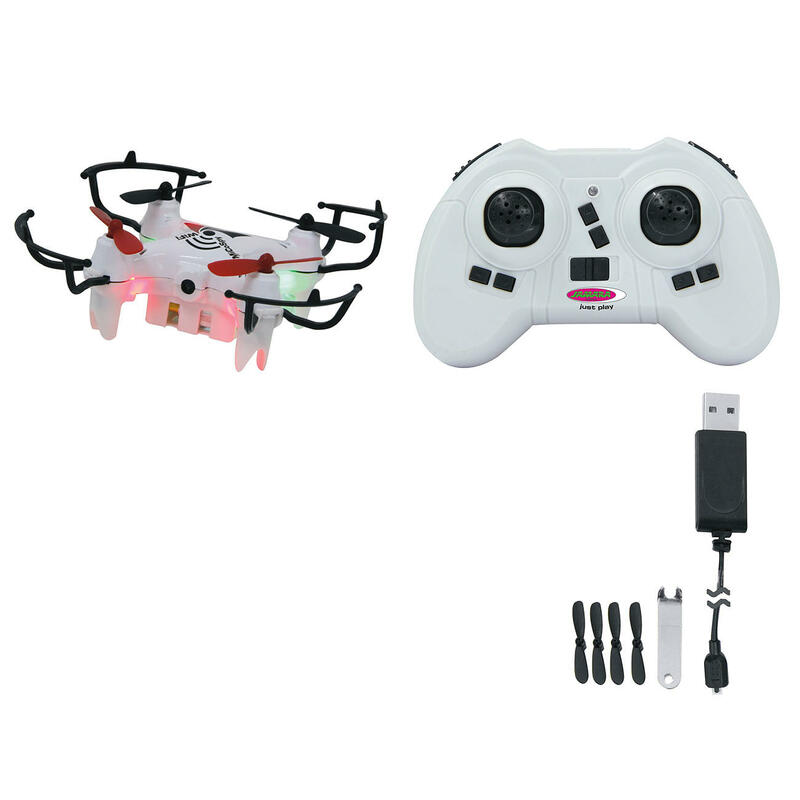 With fixed built-in FPV-camera with fixed-focus lens and 75° recording angle (30 FPS). Live image transfer via Wi-Fi to the smartphone. If desired, live image also controllable via app (iOS/Android, free of charge). Made of sturdy plastic. Size 73 x 73 x 26mm (2.9" x 2.9" x 1") (W x D x H), weight 13g (0.5 oz). Incl. 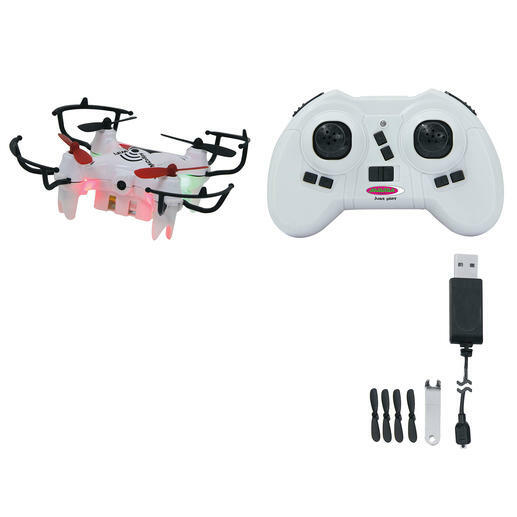 2.4GHz 4-channel radio remote control (3 micro batteries sold separately) and 4 spare rotor blades. Please contact your insurance company regarding terms and conditions.